The collective experience of our proven HVAC team is a great asset to our commercial and industrial clientele throughout the BC Lower Mainland. 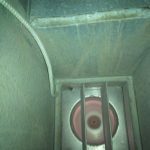 One of the reasons so many local area Vancouver clients continue to select our HVAC duct cleaning services is that we’re able to clean even the most complex of commercial & industrial HVAC systems with exceptional professionalism. Our expertise ensures that HVAC systems, air-ducts, air-handling units, coils & drip pans, blowers, fans, terminal units, heat pumps and all other HVAC system components are cleaned to NADCA “high standards. 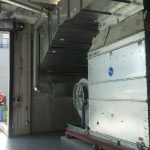 The Michael A. Smith Duct Cleaning team in Vancouver has proven project experience in cleaning HVAC systems for hospitals, institutions, schools, colleges & universities, commercial & hi-rise buildings, malls, hotels & resorts, factories, ferries, production plants and other business clientele. This invaluable experience provides the sturdy foundation to our continued success within the market place. Our MAS team has an innate understanding of the latest HVAC cleaning and testing equipment. Our building HVAC systems cleaning services set the highest standard within the BC Lower Mainland Regions. HVAC heating, cooling & ventilation systems are considered the lungs of the building as they bring in fresh air from the environment and push air out of the building to provide acceptable indoor air quality. When these systems are dirty, they can start to stain ceilings, walls, hallways, carpets and flooring – diminishing the value of the property. By effectively cleaning building HVAC systems, our MAS team can help property owners bring a fresh, vibrant appeal to their property. This means we’re able to offer companies services that will improve their building’s indoor air quality to secure all staff and employees against air contamination dangers. 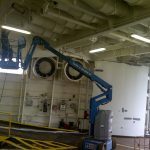 The modern industrial HVAC system plays a critical role within commercial buildings and industrial plant operations. The team here at MAS understands the importance of HVAC systems and works to examine any systems challenges that could be related to contaminants. Our full range of HVAC systems cleaning services provide commercial and industrial clientele across Vancouver and the BC Lower Mainland Regions with leading-class on-site diagnostic experts to ensure each facet of their HVAC system is working as designed in clean and clear condition. 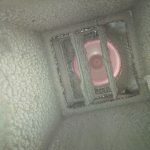 Choosing Michael A. Smith Duct Cleaning in Vancouver for comprehensive HVAC cleaning services ensures BC Lower Mainland businesses the best value for their investment. Our team is committed and qualified to provide the latest cleaning solutions utilizing cutting-edge methods and equipment. To learn more about our HVAC systems cleaning services or get a quote for your organization, please contact us at 604-589-2553.